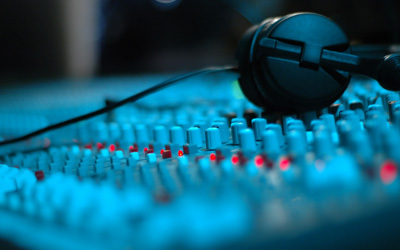 In the event of bad weather RNB sounds will accomodate any new date provided we are available. If you are cancelling an event due to weather it must be done the day before the event and your deposit will not be refunded. When changing the event date the deposit will come off the new date. Once we leave our yard for an event the client must pay in full reguardless of the weather. Once we are at an event and bad weather starts the client will still be resonsible for paying in full. 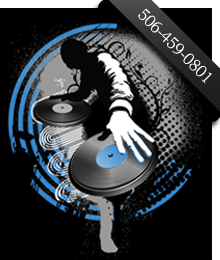 If you never have your event with our company your deposit will not be refunded. Hours of fun. Dunk your friends, family, coworkers, community representatives, even your parents. Three different targets. Lots of balls. Made for all age groups. 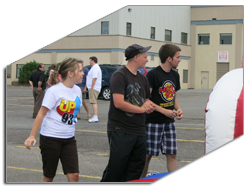 Great for fundraising events. Special rates for all fundraising events. 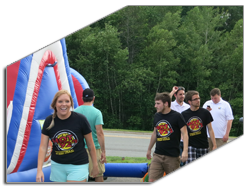 Our company has made it very easy for you to rent our dunk tank and we have included in our prices for every rental: FREE local delivery, FREE set up and tear down, attentants for the duration of event, liability insurance and public safety registration. All you need to do is add water. 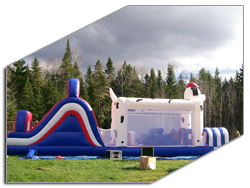 We can even help you with that our local H2O Bulk Water company in the Fredericton area stays very busy filling RNB sounds dunk tank and equipment. 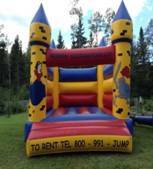 Please call 440-3026/459-0801/238-0964/1-800-991-JUMP or email r-n-bsounds@hotmail.ca or facebook us on any 3 pages we got for event rental. 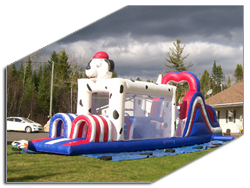 RNB Sounds giant water slide is (18'H X 10'W X 20'L). 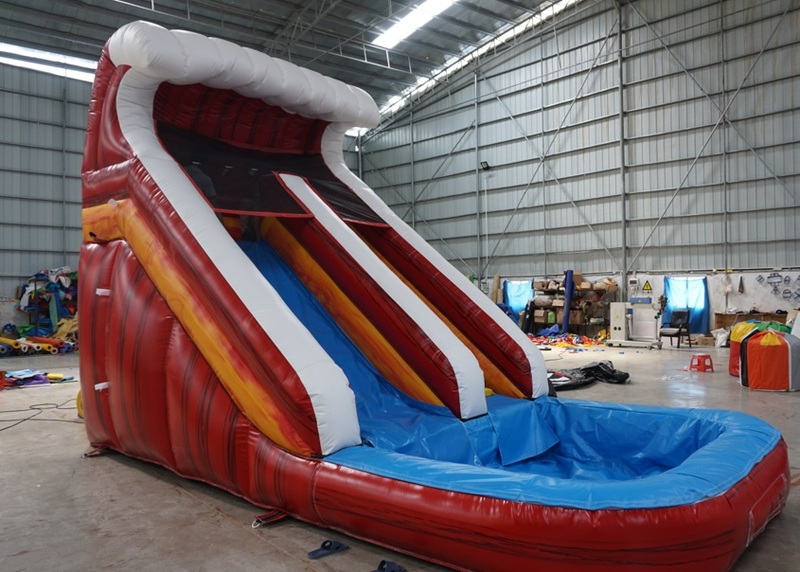 This giant, colorful wet/dry slide has now arrived and is up for rental. 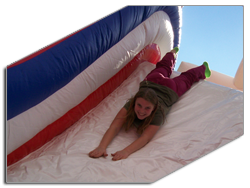 The slide can be used on a hot day with a simple hook up of a regular garden hose. It may also be used as a dry slide if no water is available. 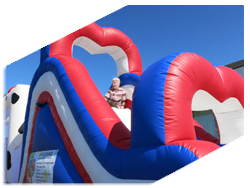 If your children can climb a ladder they will love this giant slide. Children 2 years old and under are not permitted without an adult to ride with them. 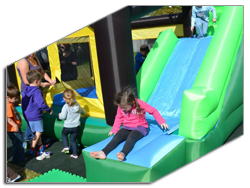 Our slide is perfect for hours of fun at any event! Even adults will enjoy the rush of thrusting down the 18 footer and splashing in the pool at the bottom. In winter we can only rent it out as a dry slide inside if ceilings at your location are high enough. Have fun and enjoy our slide. See the guide above for rental prices. Spot the dog obstacle is 43’L X 15’H X 8’W. Screened in for safe climbing, jumping, crawling and sliding. Includes tunnels, obstacles, a rock wall and slide. Parents can view their children playing from all sides of the obstacle. 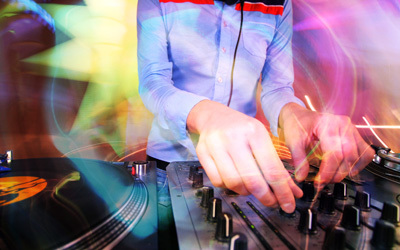 Great for party pictures! 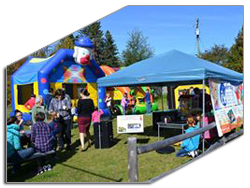 The party tent is 15’L X 18’H X 15’W. 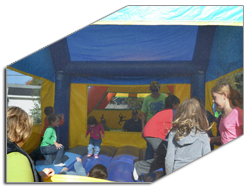 The party tent is screened in on all sides making it easier for you to view your children while playing. You can include 1100 colorful balls to your jumping experience. Party tent does have a roof making jumping fun safe from the sun. The hip mobile is 18’L X 15’H X 10’W. 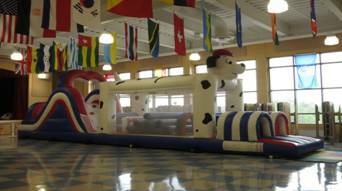 Hip Mobile will keep the kids jumping for hours. Screened in with only one way in and out. Parents can view their children from all sides of our car. 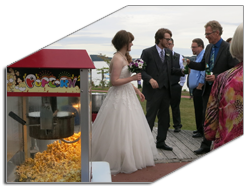 Brand new high heat popcorn machine for rental. 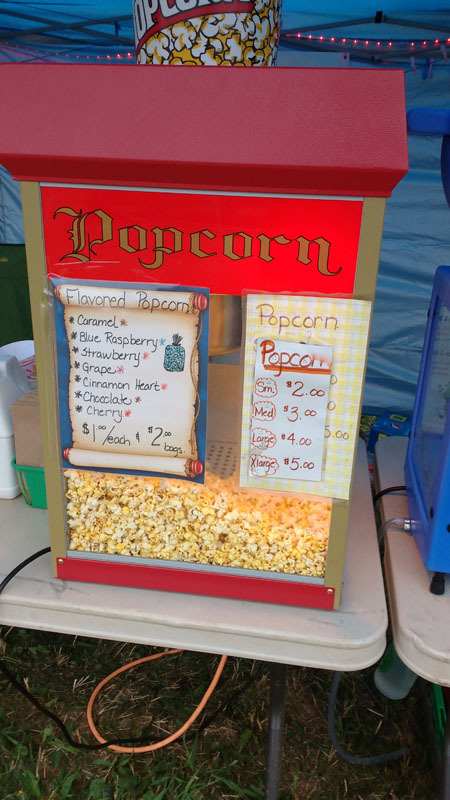 This machine has the ability to heat to make flavored popcorn. It also still makes our most popular movie style hot n fresh as well. 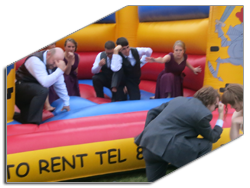 Add this service to any event and it for sure be a hit for any age group. When you rent our service you get everything included. 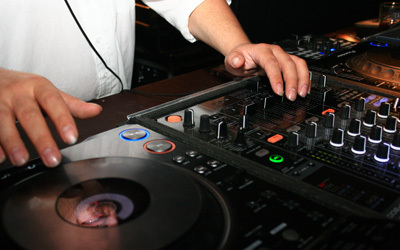 We operate our machine, we suply all the supplies needed, make and serve the guests. We always deliver, set it up and tear it down. No mess for you and we do all the work. We can now offer premade orders of fresh or flavored bagged and sealed. Call for your rental or premade order today. 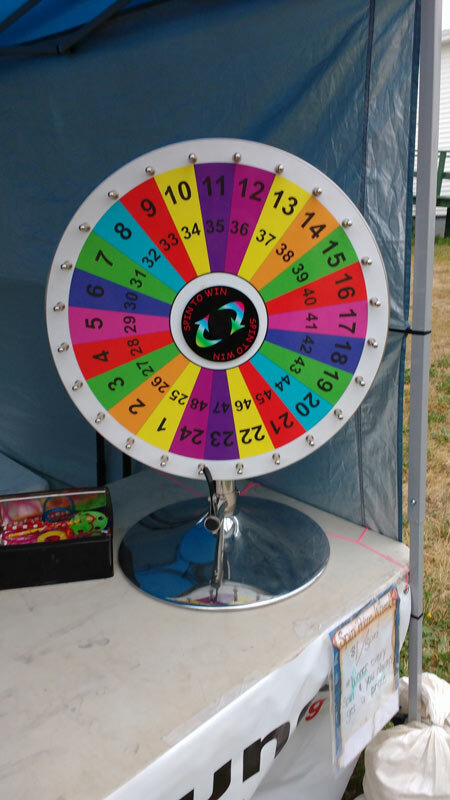 Our prize spin wheel is great for any event and you can make the prizes anything thing you want for different age groups. Our wheel has colors and numbers on it. Each number can represent a prize. This is universal so if didn't want prizes you can change it to actions. This is a great wheel for wedding reception games. We have three different wheels to rent. 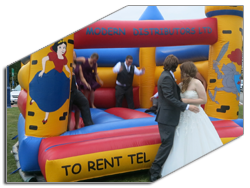 Rent them for your next event. It's not a party without crushed ice and flavored syrup. Sno cones are great for any event. RNB has over 13 flavors of syrup. We also have the option of ordering sugar free syrups. Went you rent our sno cone machine you get a staff to operate machine and it includes all the supplies. 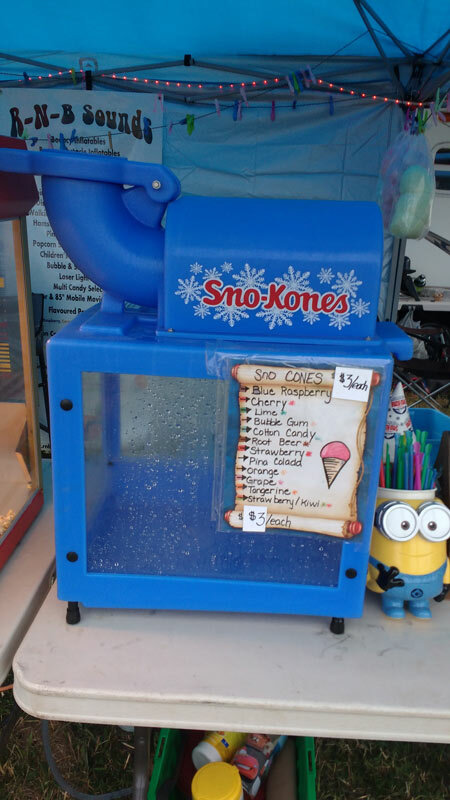 Sno cones are fun to make and our staff can make them with three different flavors at once. Not so sure they taste great after they mix but the colors look cool. 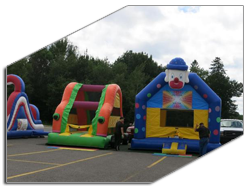 Rent one for your next event. Pooh & Tiggeris our favorite party jumping machine for children of all ages. Pooh is 18’H X 12’W X 15’L. 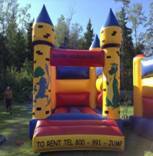 Three air bounce wallswith only one way in and a pooh roof make jumping fun and safe from the sun. Small Dino Castle is 12’H X 12’W X 12’L. Dino has one way in with three safe air bounce walls. Open front for great picture taking. Suitable for any age group of children. The large castle is 15’H X 15’W X15’L. 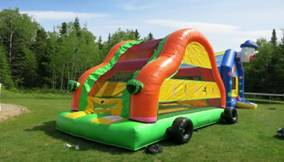 It has three air bounce walls and one way in. Open front for excellent party pictures. All age groups love this bouncy. 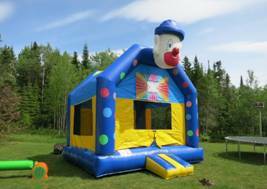 The Clown bouncer is 12’H X 12’w X 12’L. 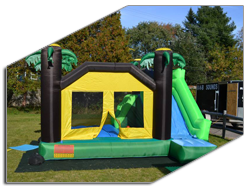 It has three air bounce walls with one way in. Get a free bunch of helium balloons with every three hour rental! Great for any age group of children. 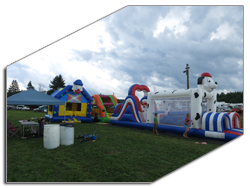 Children's Mechanical Bull Ride has a 16 X 16 blow up bouncy barn yard all around it for the safest landing ever. Ride at your own risk. Fun for hours. Safe for all ages. The bull has a timer built in for keeping time score with your friends. See how long you can stay on the bull ride. 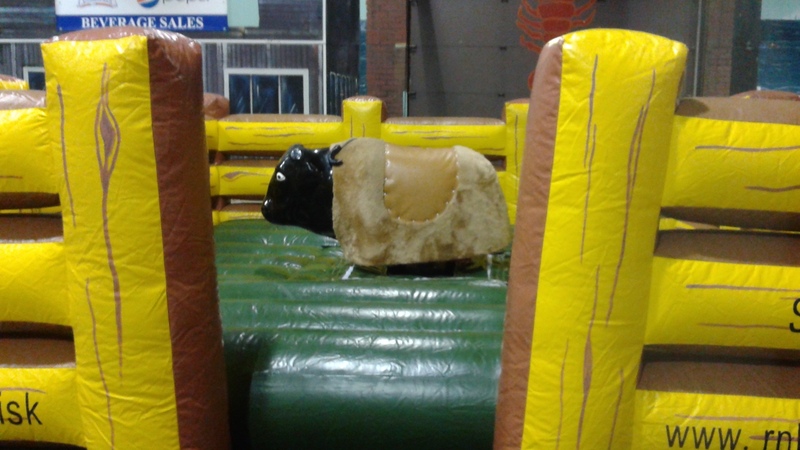 This bull is great for events to raise money, family events or festivals. If you are scared to ride it at least get your picture taken on it. We only ride one rider at one time. 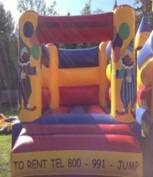 Infant Bouncy castle is for children 2years old and under. 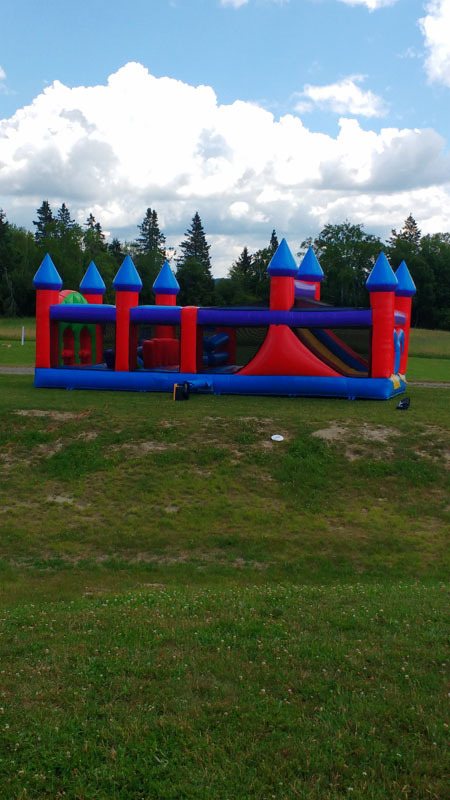 It is 12X12 a colorful castle netted on all sides for safety. 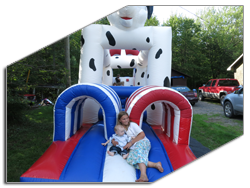 Babies can bounce for fun or slide down the little slide. Only 4 babies on it at one time. 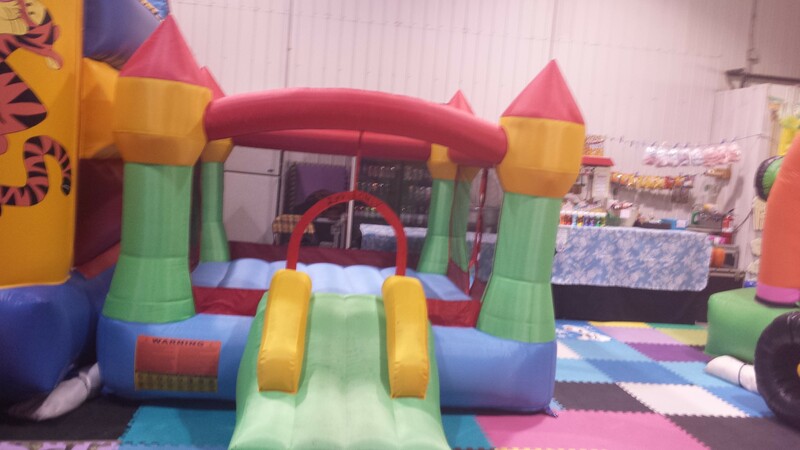 Great to keep little ones occupied if you have bigger kids on another bouncy. Infant castle is loved by all little ones. When you rent it from RNB Sounds, it comes with square padding for around the slide area. 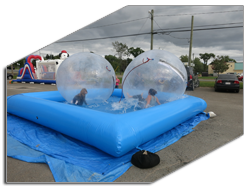 Hamster Ball Rentals are fun for all ages. RNB Sounds does not reccommended them for children 3 years and under as they may not like when we fill them with air. 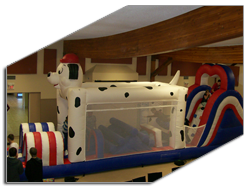 They have been used for racing in school gyms for school events and for private events where you just wanted to experience what it was like to roll around in a 6 foot ball. 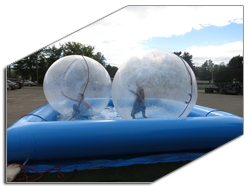 Hamster balls can only be used an inside location. In the summer time we use them in a pool of water. Most know them as walking water balls when we have the pool. You must wear socks inside the hamster balls and wear safety head gear that RNB Sounds provides. Play in them at your own risk. Walking Water Balls are clear or colored balls that you can get into and roll around in while floating on a pool of water. The pool is 20 X 20 and holds two feet of water. The balls are 6 feet in diameter. This is fun for birthday's, festivals, fundraisers, and the market. 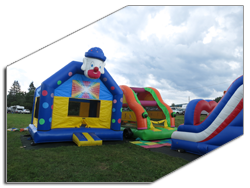 Fun for all ages but RNB Sounds does not recommend them for 3 and under as they may not like it when we fill them with air. You must wear socks in the balls for health and safety reasons. "All rentals must have deposits paid to be officially booked. If you have not paid a deposit then it is still open to the public. All deposits are not refundable." 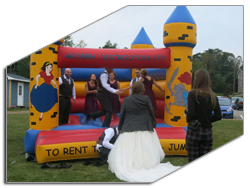 R-N-B Sounds would like to see you have a stress free experience when planning your special event. 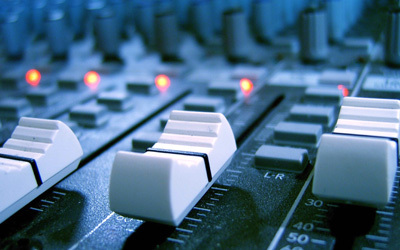 Planning your event a head of time will save you a lot of stress and last minute costs in the end. It will also allow you to have a good time and enjoy what you have created. Keep it simple, have a clear agenda. 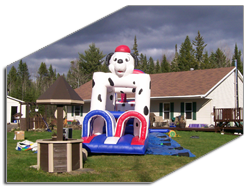 Description: Spot the dog is a screened in bouncy inflatable obstacle of fun. 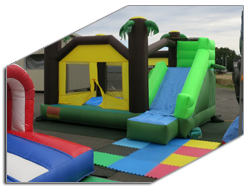 He has two tunnels, four kinds of obstacles to jump, climb and walk through, a rock wall for all ages and a big slide at the end. Spot is 43 feet of fun and his tail is always wagging. You can definatly see him as he is 15 feet high. 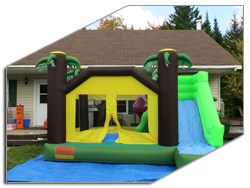 Great for your next back yard BBQ or Birthday party.